Born in the 1940’s and early 1950’s, is now reaching retirement age. In Astrology, they are referred to as the Pluto in Leo group. They are a generation of people who came into the world, nurtured by Pluto in Cancer parents. Differing from their parents who have invested in real estate, life insurance and pension plans, the Pluto in Leo group have spent most of their lives spending their money on children, lovers, sports and all of life’s pleasures. Most Baby Boomers will spend their retirement years in a different way then their parents. They will be working into their 70’s and be more economically affected by these changing times brought on by Pluto traveling through the constellation of Capricorn. Brenda Black is a Baby Boomer born in the late 1940’s. She has been studying Astrology since 1977 when she had a life-changing astrology reading by Virginia Dayan at the Dragons Head Book Store in Portland, Oregon. Having read hundreds of Astrology books by Jeff Green, Jan Spiller, Marion March, Robert Hand and more, Brenda has been using astrology since her first Saturn Return to navigate her way through major Pluto transits and other life changing transits and eclipses to her astrology chart. Brenda is a Leo with Moon in Aquarius and has confirmation that she was an Astrologer in Atlantis in a past life. The focus of Brenda’s work is using Astrology, Tarot, Numerology and other psychic tools to counsel and guide Baby Boomers as they go through their life changes. Brenda is able to help Baby Boomers pick out a second career focus as they enter their 60’s. She can give you guidance about romance, travel, monetary and other aspects of life that are giving you stress. 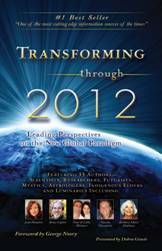 This book is written by 33 authors – Scientists, Researchers, Futurists, Mystics and Astrologers – who give their sincere interpretations of December 21, 2012 and the end of the Mayan Calendar. Brenda has written a chapter called “Charting the Day” in which she interprets the Astrology Chart for the day of December 21, 2012. She says, “The buses will be running and the banks will be open.” In this book, Dr.Carl Johan Calleman talks about the economic meltdown and the end of economic cycles in the world. This book is written and self-published by Brenda Black, CAP and Sue Wilkes, PhD. 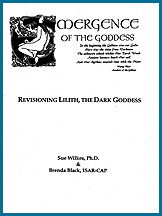 You will learn about Lilith’s origins and her mythologies, her symbols and imagery, and Lilith through the signs and houses in the natal birth chart. There will be examples of Lilith placements in the charts of selected celebrities. Payment: Contact Brenda Black: brenda@eclipseastrologyaz.com to schedule a reading or for payment arrangements. Payments are made through PayPal or by money order. Make money order out to "Eclipse Astrology"
Using the metaphysical tools mentioned above, Brenda offers information that you can use to find enlightenment, happiness and serenity in the next third of your life. Brenda is a member of the Arizona Society of Astrologers (ASA), National Council for Geocosmic Research (NCGR), the American Federations of Astrologers (AFA) and the International Society for Astrological Research (ISAR). Brenda Black received her ISAR-CAP certification in the spring of 2008. She is also available for tutoring in the beginning and intermediate levels of Astrology. If you enjoy playing games of chance, Brenda can provide you with Fortunate Days, Lucky Numbers and Winning Times. Listen to Brenda Black's 2015 Eclipse interview with Karen White... Click here! Predictions for 2018 - The Year of the Dog... Click Here! Astrology for Baby Boomers now accepts secure, online payments through PayPal!